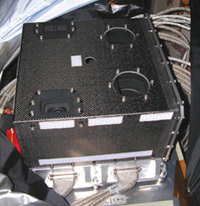 Three high-performance optical instruments (TC, MI, SP) are installed on KAGUYA. Both TC and MI are push-broom type imagers and continuously observe the lunar surface. For stereoscopic observation, TC has two telescopes with one-dimensional detectors looking at forward and backward directions, respectively. MI has two nadir-looking telescopes with two-dimensional detectors and bandpass filters to observe in nine different wavelengths. 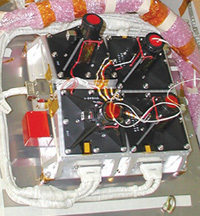 SP is a spectrometer observing the lunar surface below the spacecraft and separate the light reflected at the surface in 296 wavelengths using two gratings. LISM will provide first precise topographic, geologic, and mineralogical information of the moon. For example, from LISM data at especially interesting areas such as crater central peaks, we can understand accurate rock and mineral distribution at those areas. First global topographic data using stereo images. Precise geologic unit information in higher spatial resolution of one order of magnitude using both of known and newly acquired color images. First direct mineralogical discrimination/identification from continuous reflective spectra.